Clifton Wrottesley, Ireland's chef de mission at the Winter Olympics, has said his athletes 'can hold their heads up high' after their achievements in Turin. Wicklow's David Connolly (20th, Skeleton), skier Thos Foley of Kerry (31st, Giant Slalom), Dublin girl Kirsten McGarry (32nd, Giant Slalom) and Oslo-based Corkman Rory Morrish (88th, 15km Classical Cross Country Skiing) were all first-time Olympians. Morrish, 37, was Ireland's flag bearer at yesterday's Closing Ceremony. Galway-born Lord Wrottesley, who finished fourth in the Skeleton at the 2002 Winter Olympics in Salt Lake City, said: "Our athletes can hold their heads up high for their achievements at the Games. "To gain Olympic qualification is an honour in itself, but our athletes, all Olympic first-timers, put in exceptional performances in the really tough competitive conditions here in Turin." Pat Hickey, President of the Olympic Council of Ireland, is hopeful of a boost in financial support for the country's future Winter Olympians. 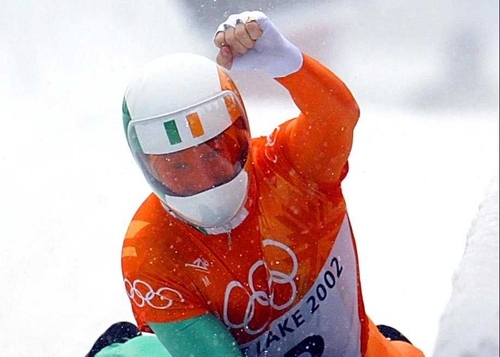 Hickey said: "The presence in Turin of the Minister for Arts, Sport & Tourism, John O’Donoghue, TD, the Chairman of the Irish Sports Council Ossie Kilkenny and ISC CEO John Treacy were very important signs for the positive future of winter sports in Ireland. "I’m sure they were all very impressed with the Games and the total commitment and contribution of the Irish team. We in the OCI sincerely thank the Minister and the Sports Council for helping to fund the team and, through their attendance at the Games, providing an important link to what we hope may be even greater financial support for Ireland’s future Winter Olympic efforts." The 2010 Games will take place in Vancouver, Canada.